Made from more resilient materials than competitor products to allow more use cycles before needing to be discarded. With a steel frame that allows the Bluebag to rest independently in the drainage structure, and a frame design that allows for foolproof installation, the Bluebag prevents failed installs and workplace incidents due to safety issues. Made from high flow monofilament textile that resists clogging, requiring less maintenance and preventing flooding issues. The Bluebag also incorporates a knit textile along the top with fully open corners to allow increased flow rate in the event of a major rain even. 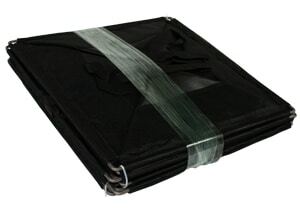 With a fully under the grate design, the Bluebag eliminates the concern for ripping, snagging, or even worse, damage to the drain structure that is often associated with normal site conditions. Unlike competitive products that require a fabric flap above the grate in order to function, the bluebag is completely out of the way of any street side traffic and won’t cause sweepers or ice scrapers to snag it. 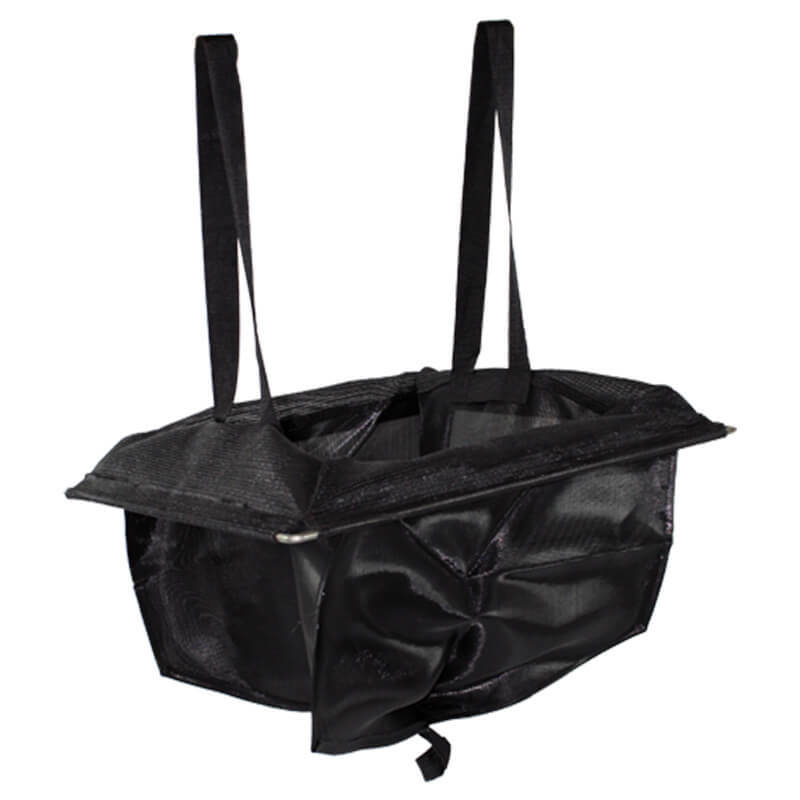 Also with the steel frame, when the grate is removed, the bag stays safely in place and can be easily lifted by its straps or vacuumed out for maintenance. The Bluebag is proudly manufactured in the USA by Erosion Blue, a veteran owned business. As a result, product turnaround time is vastly shorter than many foreign made products, and any changing site conditions allow for custom manufacturing to fit a variety of site needs including grate sizes, and shapes.